Peat moss supplier - Theriault & Hachey Peat Moss Ltd.
History of Theriault & Hachey Peat Moss Ltd. In 1963, brothers Isaac and Louis Theriault realized their dream of starting a peat company in their hometown of Baie-Sainte-Anne. They wanted not only to create a high quality product, but also provide much needed jobs for the people of this small fishing community. Mr. Charles Hachey, Isaac’s uncle-in-law, contributed five thousand dollars to the fledgling company, so the brothers added “Hachey” to the company name in appreciation. 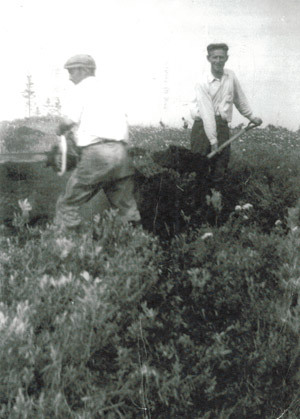 Applying traditional harvesting practices, they cut the peat moss ditches by hand, using the block cut method. Yearly production during the early phase of the company was about 40,000 x 6 ft³ bales (340L). Since then, T&H has built up a fleet of 17 double-broom vacuum harvesters, which have the capacity to pick up over 1,000,000 x 6 ft³ bales (340L). T&H’s most recent factory was built in the year 2000, but was modernized in 2007 to include a state-of-the-art mixing line and again in 2013 to implement an automated packaging line. Cousins Matt Theriault & Jody Williston are the 3rd generation of the family to be running the company. 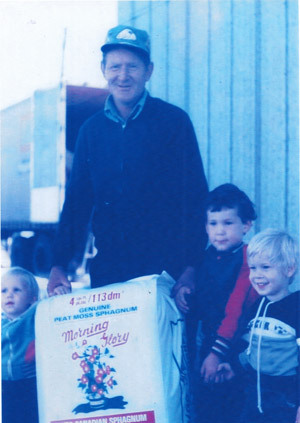 Growing up in the Theriault family, not only meant working summers at the company, but also discussing the peat industry on a daily basis. They have inherited a knowledge and a passion for their chosen profession and continue to make high quality products for their customers worldwide. 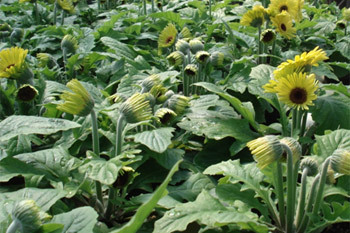 For more than 40 years, Theriault & Hachey Peat Moss Limited has been a preferred supplier to the horticultural and mushroom industries, offering its customers the highest quality peat moss and growing mixes combined with exceptional customer service and support. We are not a faceless corporation. We work directly with you to meet all your needs. Unlike our competition, you don’t need to order a large quantity to get the custom peat moss based growing mix that you want. Whether you need 18 or 1,800 pallets, we’ll be happy to custom-produce it for you. T&H mix ingredients are researched, selected and blended with care to maximize their performance. T&H’s modern mixing line has computer controlled dosing that ensures accurate blends. T&H QC department takes samples every 30 minutes to perform a multitude of physical and chemical property tests. The result of the above is a consistent product that has more air porosity, effortless wettability and that easily flows out of the bag. Let T&H take the stress away!